On the day of reaping, while the district still sleeps, Katniss swings her legs out of bed and prepares to go hunting. 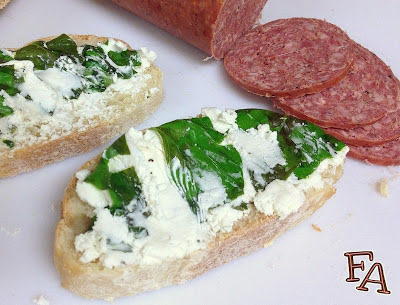 Passing through the kitchen, she upturns a wooden bowl left on the table and finds a small, basil-wrapped goat cheese left for her by her younger sister Prim. She carefully places the cheese into her pocket and heads out into the chill morning air. 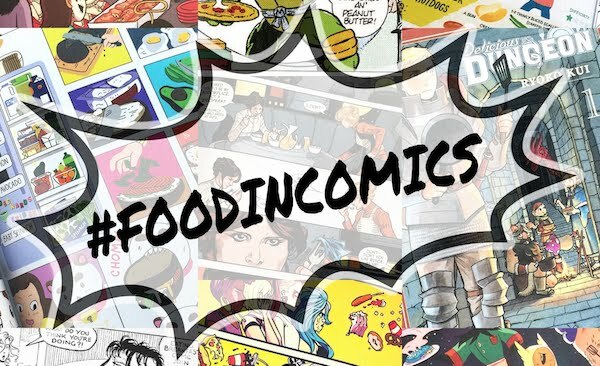 The Hunger Games by Suzanne Collins is an engrossing dystopian novel genius-ly loaded with food, one of the most memorable foods being the homemade goat cheese from Katniss' dear sister Prim. 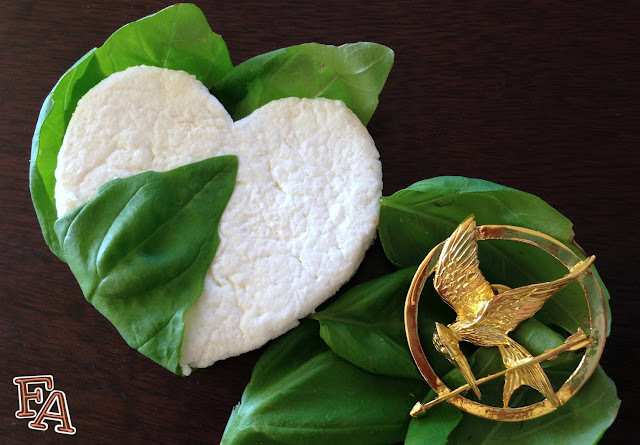 Her basil-wrapped goat cheese is mentioned specifically in Katniss' narration several times in the beginning of the book. While Katniss is the rough-around-the-edges hunter of the family, providing and bartering with fresh meat, Prim is the gentle homemaker who provides and barters with fresh goat's milk and cheeses. They may seem like opposites, but these sisters love each other dearly and compliment one another very well. 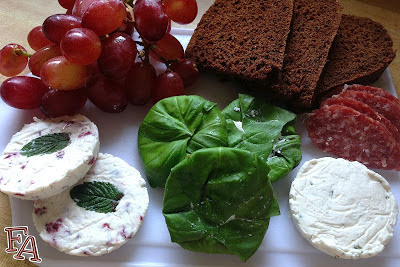 I've had so much fun experimenting with cheeses recently. 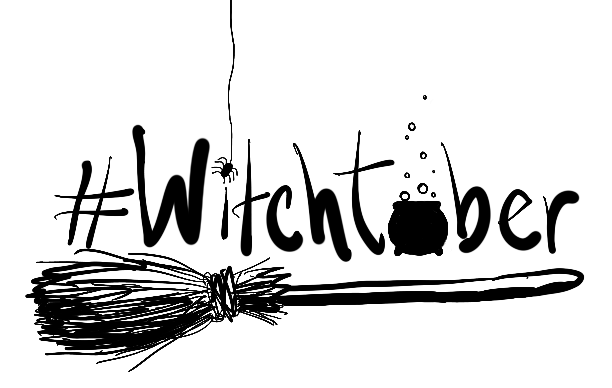 I've made so many batches, tweaking things as I go, and I feel pretty good about what I've come up with. The recipe below gives directions on how to make basic goat cheese--or you can use whole milk (cow's) instead--and then further down is how to make the little basil wrapped patties. You'll also find a few examples of other flavors. Note: If you want to make more cheese and use say, 8 cups (1/2 gallon) of milk (goat's or whole milk), you still only need 1/4 cup lemon juice + 1/4 cup white vinegar. But go ahead and double the fine sea salt (= 3tsp. total). Also, when I make cheese I don't save the whey (the resulting liquid from making cheese) but it can be used for other recipes (some examples here). If you'd like to keep it for later use simply place the strainer over a large, deep bowl and let the whey drain into it and then store it in an airtight container. I'm actually curious about using it in soups so maybe I'll save it next time! 1. In a pot over med-high heat, add the sea salt to the goat's milk & bring it to a gentle boil, stirring occasionally so the milk doesn't cook to the bottom of the pot. While the milk is heating, set the strainer in the sink with the cheese cloth draped inside. 3. Remove from heat & carefully pour the curds & whey into the strainer with the cheese cloth. Stir & scrape to help the whey drain through. Once most of the whey has drained out, rinse the curds with cold water (this will cool the curds down & rinse out the lemon & vinegar flavor). Using your spoon or a small spatula, scrape down the curd crumbles several times to keep them clumped together. Let the water drain through & then gather the curds up in the cloth & squeeze to drain out the rest of the water & whey. 4. If you'd like to add any seasonings to the cheese, transfer it to a bowl at this point & stir in what you'd like (see examples further down). 1. For a large round, simply leave the cheese in the cheese cloth & flatten it between two plates, keeping the ends of the cloth gathered to the side to stick out between the plates. 2. Weigh the top plate down with a few canned goods & put the whole setup in the refrigerator over night (or 30 min. minimum). 1. Place the plastic wrap squares into the cups of the muffin tin. Spoon a small amount of cheese in the center & flatten it with your fingers or a spoon, pressing it against the sides. The amount depends on how many little patties you'd like to make (I fill them about 1/3 of the way.) Repeat this in the other muffin cups until you run out of cheese. 2. 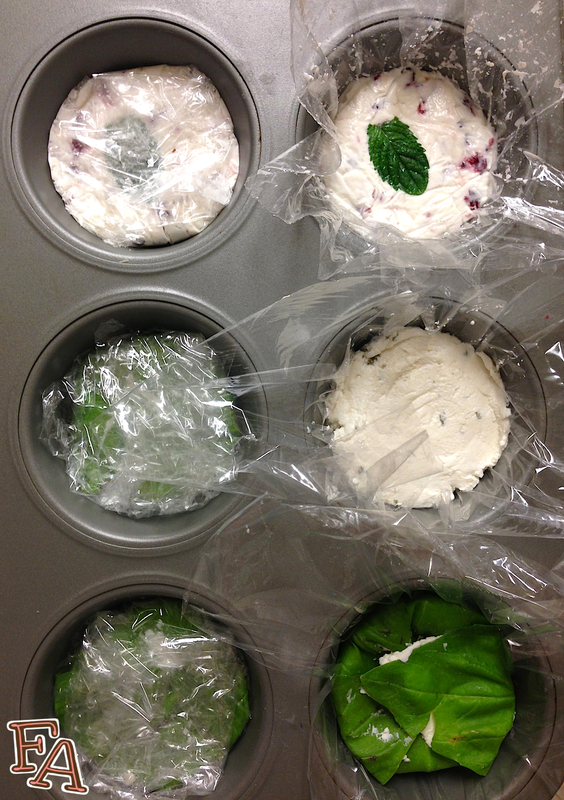 Using the bottom of the 1/3 measuring cup, press down on the wrapped cheeses in the muffin tin. Place the tin in the refrigerator over night (preferably, but 30 min. will do if you need to serve sooner). 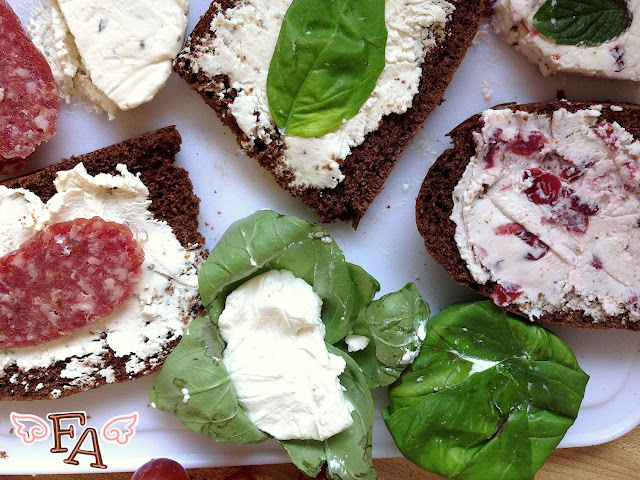 Unwrap the cheeses & serve with slices of nice bread. 1. In the plastic-lined cups, arrange several large basil leaves (4-5) in a flower pattern, stem points overlapping slightly at the bottom center. 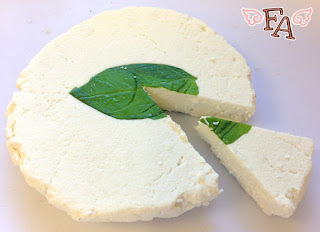 Spoon a small amount of goat cheese on top of the leaves & then flatten it with the spoon or your fingers. 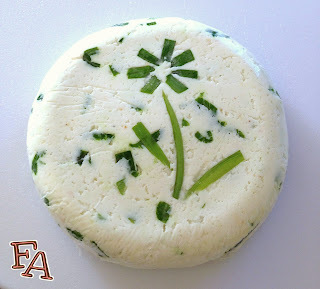 Fold the leaf tips over so that they meet on the top center of the cheese. If needed, place tiny amounts of cheese under the outer leaves to help them stick. 2. Fold the ends of the plastic wrap closed over the basil leaves. Repeat this in the other muffin cups until you run out of leaves &/or cheese. Tastes very nice with a little drizzling of honey! With this combination, you could even add a little powdered sugar if you wanted to sweeten it up. Thank you! I'm glad you came to visit. Let me know how the cheese goes if you try it!